We’ve all heard the saying in business, cash is king! This is no less true in your franchisees business others. Franchisees may have a slow cash flow month, a requirement for renovations or upgrades, or an unexpected expense. On the positive side, franchisees often want to develop a new marketing initiative, have opportunities to purchase inventory at a discount, or want to increase their inventory holdings prior to a holiday or major sales event. A working capital advance is a type of funding done in anticipation of a company’s future sales. We will typically advance the equivalent of one month’s gross revenue advanced to your franchisees. This advance is paid back over an agreed-upon term, typically ranging from 3 to 15 months. 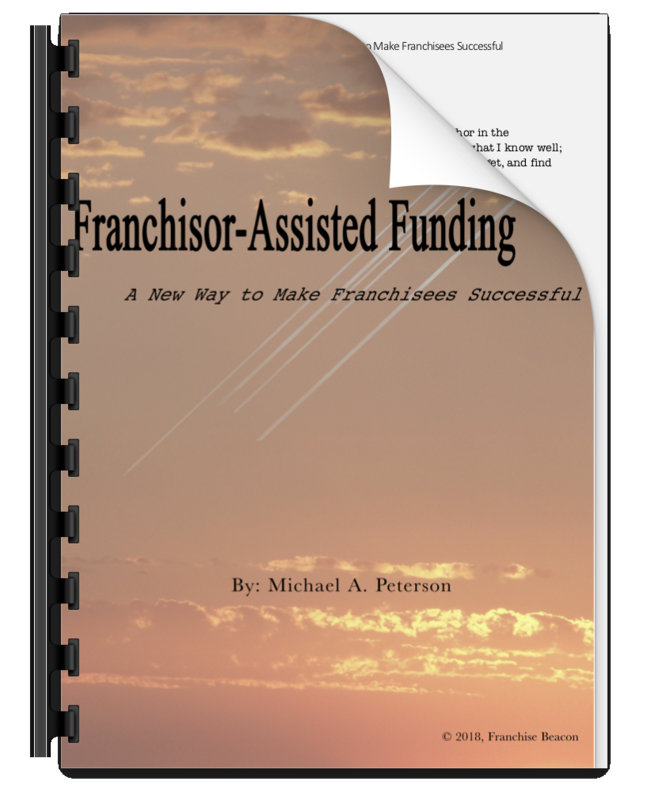 Franchisor-Assisted funding working capital advances are specifically designed for franchisees that have immediate cash needs, either to take advantage of a opportunity or to cover a deficit. The strength of working capital advances is there turnaround time: often less than 48 hours. In the time it takes for franchisee to get an initial meeting with the banker, they could have cash in their bank account ready to spend the working capital advance. First, franchisee should have fairly predictable sales cycle and monthly revenues. Our Working Capital Advance program structures an advance against future sales of the franchisee. Secondly, they should have an opportunity to use a capital for a fairly significant short-term gain. In addition to the benefits that apply to all Franchisor-Assisted Funding programs, our working capital advance program has its own unique differentiators. Most companies that offer this service require at least 6-12 months history. However, our distinctive knowledge of the franchise industry, and connections within the financial space, we bring inflexibility to these programs but has not been seen before. As an example, using audited financials and Item 19 data, we are able to allow much younger franchisees to take advantage of programs typically reserved for businesses that have been open for some time. Additionally, we often provide nonstandard terms including shorter or longer repayment cycles and reduction in payments during predictable slow seasons. If you aren’t certain that this is the right fit for your franchisees, we have other options. Feel free to explore our Accounts Receivable funding, equipment leasing, or Asset-Based Lending options, or just grab a time on our calendar and let’s discuss.